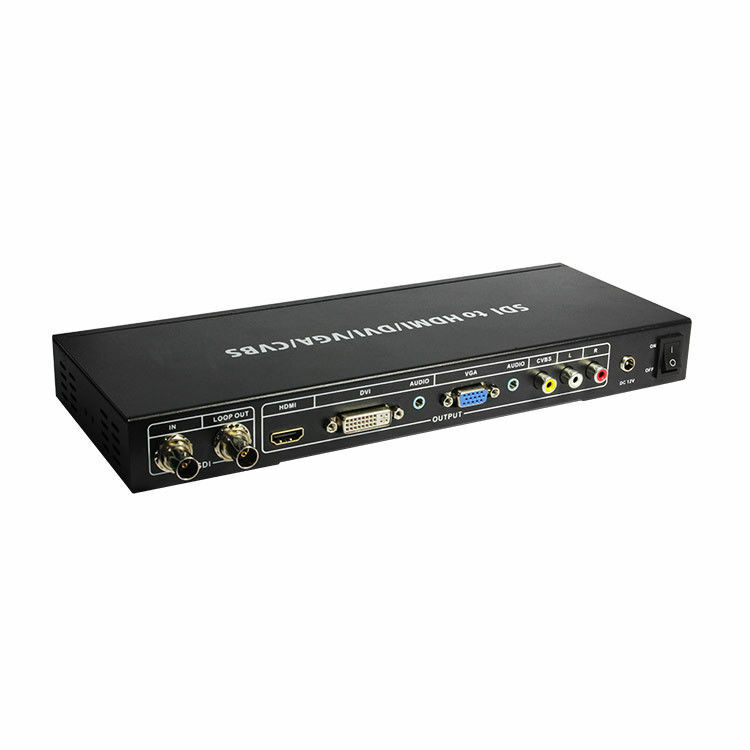 The SDI to ALL Scaler Converter allows SD, HD and 3G-SDI signals to be shownon HDMI/DVI/VGA/Composite port display. This means that it is now easier for professionals todistribute and extend their SDI signal while giving the ability to displaywork on these display. Furthermore, thanks to L/R audio outputs users can output analog audio formats while the loop-through 3G-SDI design benefits users by lettingthem simultaneous show content on both SDI and HDMI/DVI/VGA/Composite port displays.